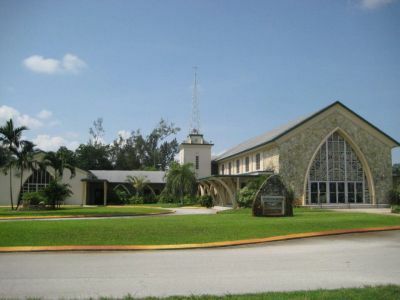 Church, Mosque, Synagogue Insurance in Davie Florida - Bellken Insurance Group, Inc.
Equipment Breakdown, including computers, boilers and electrical equipment. Newly acquired or constructed property. Personal effects and property of others. Crime - Provides protection for money and security losses resulting from theft, employee dishonesty, and forgery and alteration. Inland Marine - A broad type of insurance that covers valuable possessions that may be transported from one place to another. General Liability insurance covers the church's legal liability resulting from injuries to people or damage to their property. Provides primary payments for injuries occurring on your premises, and for accidents resulting from church activities away from your premises. Hired and Non-Owned Auto Liability - Provides excess liability and medical coverage for the church should legal liability arise out of the use of a non-owned or hired auto. Directors, Officers and Trustees Liability - Provides coverage for wrongful acts of church directors, officers, trustees, business administrators and ministers. Employment Practices Liability - Employment practices liability covers a church in areas relating to employment including discrimination, wrongful termination and sexual harassment. Sexual Misconduct Liability - Provides coverage that protects a church from legal liability arising from acts of sexual misconduct by a staff member or volunteer. Employee Benefits Liability - Provides coverage on negligent acts, errors or omissions arising out of the administration of employee benefits program. Day Care and School Medical - Provides excess payments of medical expenses for accidents resulting from activities scheduled and supervised by your church or on its behalf. Interscholastic Athletic Medical - Provides Excess payments of medical expenses for accidents that might result from practicing, instructing, and participating in athletic events. Bellken Insurance not only improved our coverage but has reduced the premiums our condo association pays. The cost of the various Association insurance premiums kept increasing. It was the largest single line item in the budget. Working with Bellken Insurance Group, we recouped over $6,000 on the existing wind policy even before we changed agents. Since changing, we were able to increase coverages and further decrease costs. Customer service is most responsive to our needs and questions. I would highly recommend them. - Diane S. Secretary-Treasurer LHVCA, Inc.
Bellken Insurance Group was a great help in making sure that we had all of the necessary Homeowner Association insurance coverages in place. We appreciate their professionalism and would highly recommend them. - Randy A. Treasurer Casa Las Olas Homeowners Association, Inc. While Bellken Insurance Group provides insurance services across the entire State of Florida, our local clients mostly concentrate in the areas including: Plantation, Hollywood, Pembroke Pines, Fort Lauderdale, Weston, Coconut Grove, Coral Gables, Miami Beach, South Beach, Miami, Aventura, Boca Raton, and West Palm Beach. Site by: AlicorSolutions.com •et; © 2019 Bellken Insurance Group, Inc.